5.0 out of 5 starsUvi has done it again with My Own Voice. 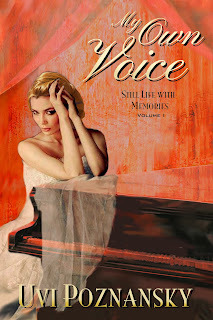 Uvi has done it again with My Own Voice and like her other books in the series, I'm a fan. Well written. Well developed characters. Open dialogue that can raise eyebrows at times, My Own Voice does it all. This is not a fluff piece, but a real life - not literally but it could be - drama filled, honest read that shows relationships when they're gritty.